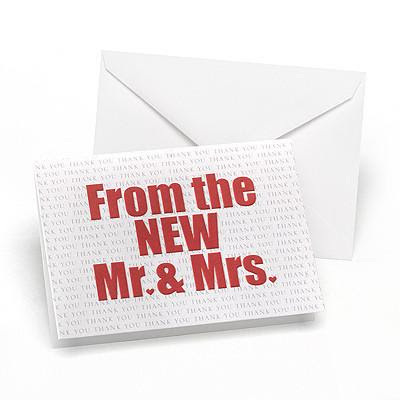 There will be guests that begin sending gifts to you before the actual wedding day. When this happens, get their thank you note written ASAP. Writing out one at a time is a lot easier than taking on multiple notes at once, and when you're ready to mail them out, it will already be there finished and waiting for you. Set up a specific area, or even a just a box full of materials set aside, where you have everything that you will need to write your thank you notes. This includes the thank you cards, pens, stamps, addresses, and your list of gifts received. When you have some free time, or right after you get an early gift, head on over to your special workstation and get some writing done. Having it all ready to go at any moment will make it seem like less of a chore. 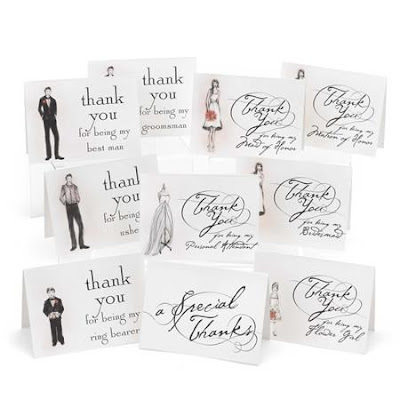 Thank you notes for your wedding gifts need to be handwritten. This special touch is rare in today's world, and people really do appreciate the extra time it takes to do it. In your notes, name the gift that was given and mention how you will use it in the future. If the gift was money, don't state the amount, but you can tell them what that money may be used toward, such as a honeymoon fund or saving for a new house. Not all gifts are material ones. 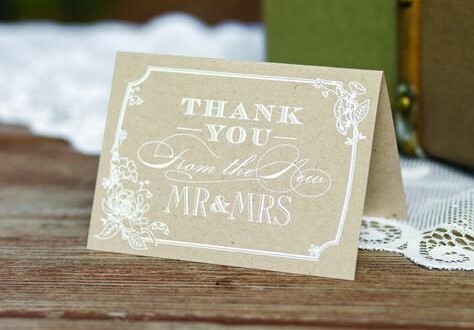 Don't forget to say thank you for attending the wedding and sharing your special day. Also, if they helped in any way with the planning or a task on the wedding day, be sure to give thanks for that too. These are probably the people that were the biggest help in turning your wedding into a success. Not only do you want to write them an extra-special thank you note, both for any gifts that they gave you plus for their help, you may also want to do more. There are many wonderful and affordable gifts for your wedding party at WhereBridesGo.com that are an excellent way to show how much you appreciate them. 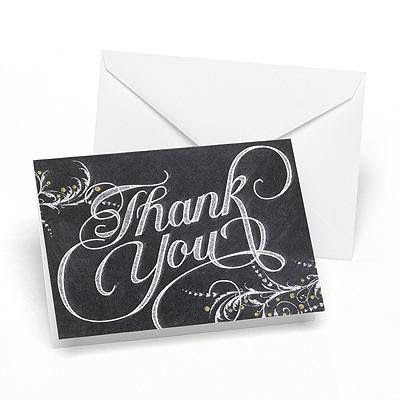 All of those handwritten thank you notes don't have to be written in just your hand, they don't have to be finished all at once, and they don't even have to be all your own words! The workload will be lightened tremendously when the both of you, the new Mr. and Mrs., work as a team. So that you don't get too sick of writing "Thank you!" over and over too many times in one day, space it out over a few days. You have up to 3 months after the wedding to get your notes mailed out. Set aside a little time each day to tackle a portion of the list. It's a great thing to do while you binge-watch your favorite show on TV, or possibly over a glass of wine after dinner each evening. Lastly, it's okay to use a "template" for the main wording on your thank yous, as long as you personalize it slightly for each guest. A quick search online offers lots of nicely worded templates to use. Our online wedding accessory store has many different styles of wedding thank you notes to choose from. Make them one of the first things that you purchase for your wedding. That way you'll be ready to take care of getting them written throughout the planning process instead of all at once at the end, and if you use the tips above from WhereBridesGo.com, you'll handle it like a pro!